Situated between Poole and Bournemouth Insightful UX is positioned uniquely amongst a digital hub along the south coast of England. Although ‘small’ in size we’re ‘big’ in experience and we work with clients both nationally and globally. Having worked both client and agency side Lee founded InsightfulUX after identifying a gap in the market for an insight first approach to digital marketing. Lee's experience comes from working in competitive financial sectors, large corporates and small SME's all the time his thirst for driving results and improving conversion is second to none. With over 10 years experience in all aspects of marketing including data acquisition, lead generation, conversion optimisation, DRTV, media buying and budget planning. His core focus is digital marketing having worked both agency and client side, small businesses and large corporates delivering significant growth. 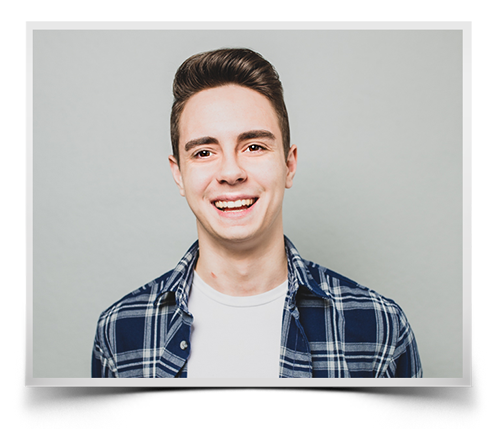 After studying graphic design, George started his working life as an ad creative in London. Since then he's run creative depts. started his own consultancy and has immersed himself in all things Service Design, UX and Design Thinking. He co-produces a quarterly networking event called Open Sauce. He's a Visiting Lecturer at Arts University Bournemouth and Bournemouth University. George recently completed a Behavioural Economics course. Currently on placement whilst studying media production at Bournemouth University. Jamie is a tech genius, video producer, hacker and coffee loving Italian. Whilst at uni, Jamie worked to briefs on a range of digital projects. He now makes use of this experience, alongside his new-found UX knowledge, to deliver client projects. He also enjoys eating pizza and Lasagne. Though from his size you'd never know, we literally have no idea where it goes. With a background in Finance and Business, I have a keen interest in how digital is changing business strategy. I shamelessly enjoy cheap coffee and a good dose of reality TV. I'm often dreaming up next home renovation projects or pretending to be the red power ranger with my two side-kick children. Having gained an MSc in Psychology at Bournemouth University, my passion is the study of people and Human Behaviour. I am a lucky mum of two gorgeous children and enjoy being outside whenever possible. You'll often find me on my paddleboard in Poole Harbour!! I love food and eating out - I even have a qualification in cake decorating just for fun. We are digital experts who specialise in Conversion Rate Optimisation, eCommerce and Digital Strategy. Through our web audits and market research, our objective is to provide valuable and tangible insight to ensure your customers have exceptional digital experiences, convert more efficiently and ultimately generate ROI. Our solutions start with an insight first approach. Take the guesswork out of your strategy with an insight-first approach.